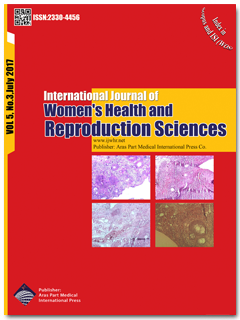 Materials and Methods: In this experimental study, 78 pregnant women were selected using multi-stage sampling and were randomly divided into 2 groups each including 39 subjects. The intervention group learned physical activity and health behaviors based on the constructs of self-efficacy through 6 sessions. However, no interventions were performed for the control group. The data were collected using a questionnaire containing demographic information, health-promoting lifestyle, and Exercise Self-Efficacy Scale (ESES) before and one month after the intervention. Then, the data were analyzed using t test, chi-square test, and regression analysis. Results: After the intervention, the mean score of health-promoting behaviors, subscale and physical activity self-efficacy increased in the intervention group, which was significantly different from the control group (P < 0.001). Moreover, the results revealed that all the subscale Health Promoting Lifestyle Profile (HPLP) predictive health-promoting behaviors, with the highest predictive power were related to physical activity (β = 1.045, P < 0.001). Conclusion: The results of current study supported the effectiveness of training and revealed that training based on self-efficacy theory led to an increase in the mean score of health-promoting behaviors, particularly physical activity and motivational skills (self-control and feeling of self-efficiency). Thus, by creating and maintaining regular health-promoting behaviors, maternal and fetal health and well-being can be guaranteed.